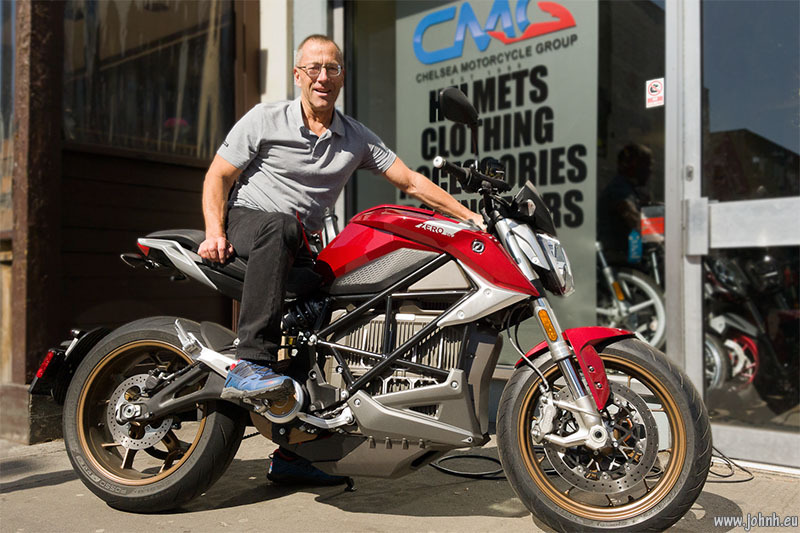 Chance meet in Fulham, West London, with a demonstration Zero SR/F electric motorcycle, which is quick enough to out-accelerate a Porsche 911, allegedly. 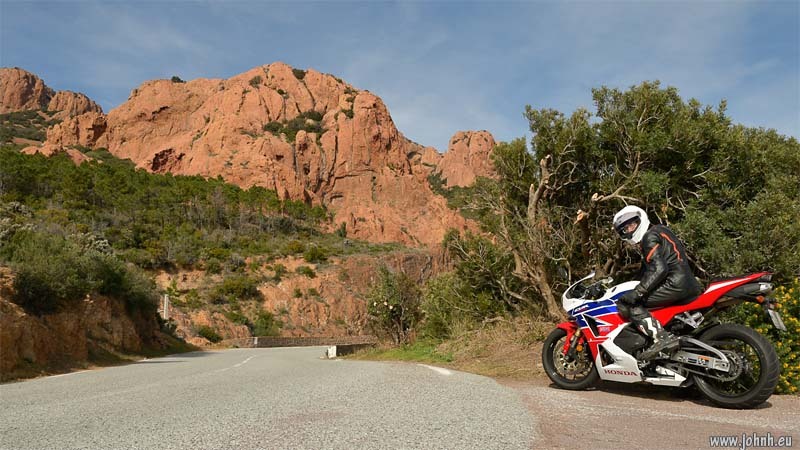 Just sitting on it, taking care of the charging cable plugged between the rider’s legs, gave an impression of the low centre of gravity and the long wheelbase. 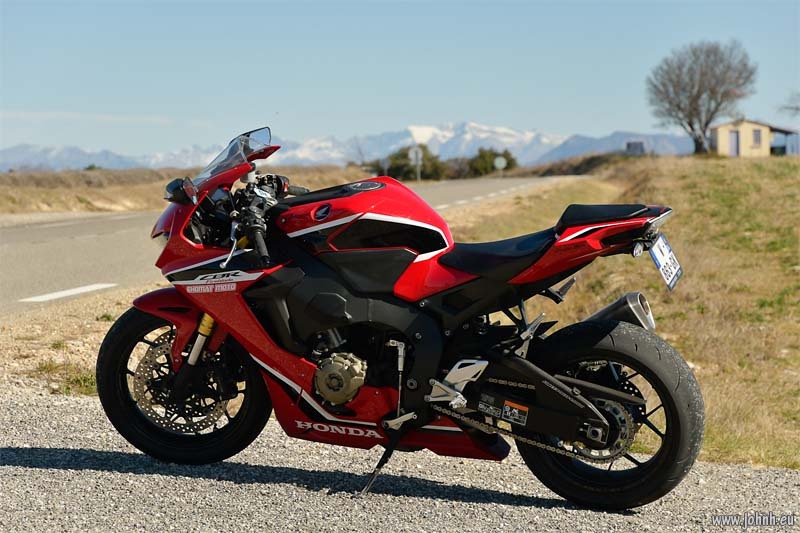 Range from a full charge said to be about the same as a sportsbike for comparable performance. 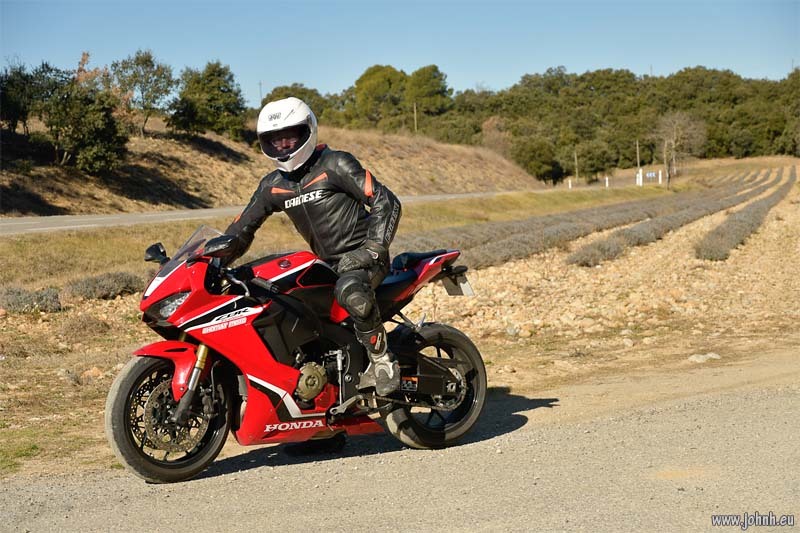 Said to be silent, I wonder what the Harley E-bike will sound like on the street: the Moto-E track bikes have just an eerie whine of the drive train. 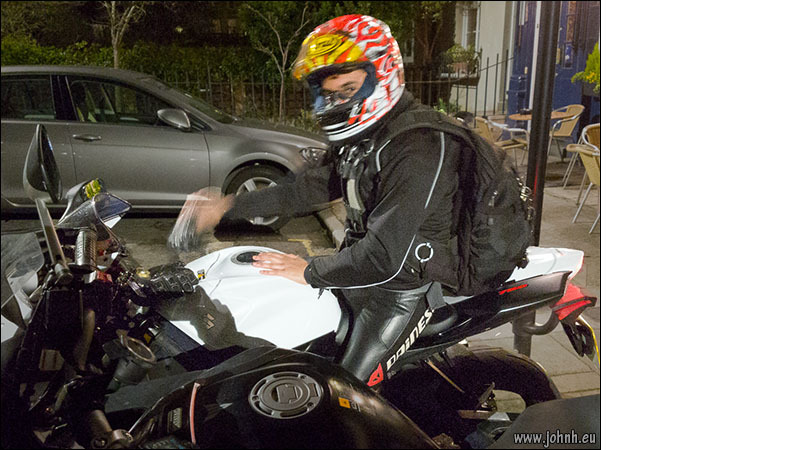 Biker eyes in a crash helmet: a glance from a biker mate leaving yesterday’s GBMCC London pub night on his GSXR. Maybe I should explain for the wider audience that my photo is about the eyes, it’s a portrait. You have this person riding this machine and in all that protective clothing but underneath and inside is a person. Sports people know you can tell a lot from the eyes and in this photo I would like to think I have captured that fleeting moment, that glance. Note also that, unlike much street photography, it’s a close-up made with a wide angle lens, the subject knows and agrees to the photo. I hope that clarifies why I think it is worthwhile sharing to a wider audience than just our bike club. 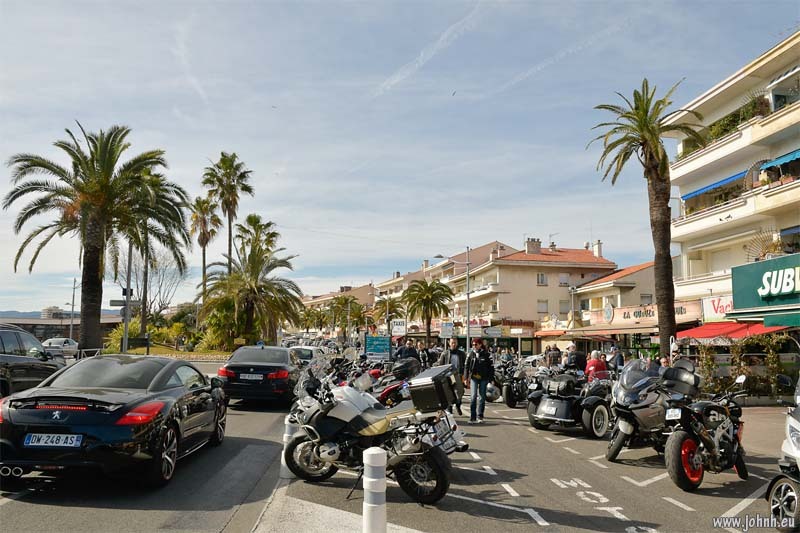 Sunday cruise on the French Riviera: riding the coast road from the Golfe de St. Tropez to Cannes via the red rock of the Esterel. 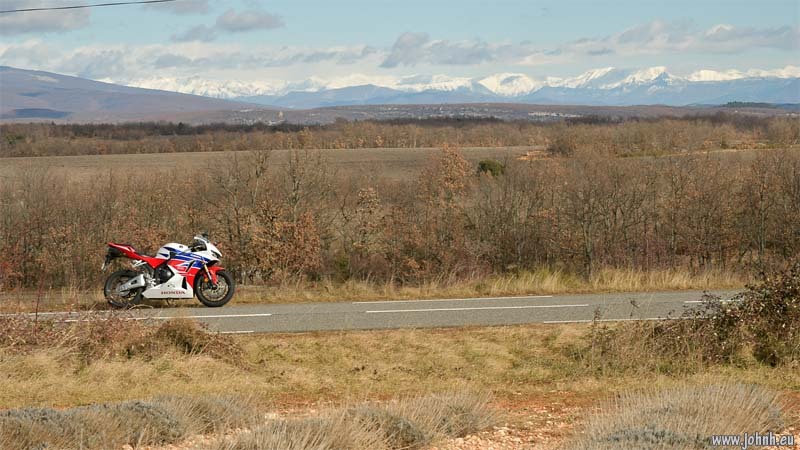 My route was to ride, battling against the wind, up the Valley of the Rhône and then across the Vaucluse in the foothills of Mt. Ventoux (1911 m.). 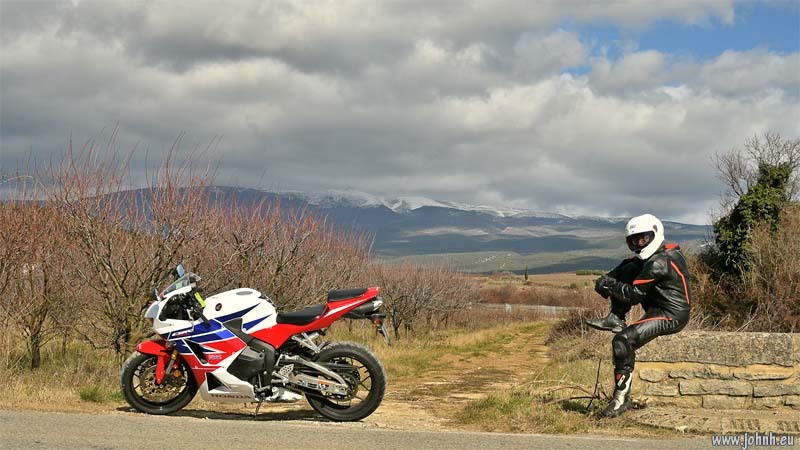 Ventoux remains cloudy but there is actual snow covering the bright white karst of the rocky upper slopes. Frost at the side of the road to Sault around the Col des Abeilles (995 m.), even today there is a cyclist thick in black Lycra, battling the gradient and the bitter wind.